The month of May started with great excitement over the appearance of the Duchess of Cambridge on the front of Vogue but she may just have been trumped by her granny in law. 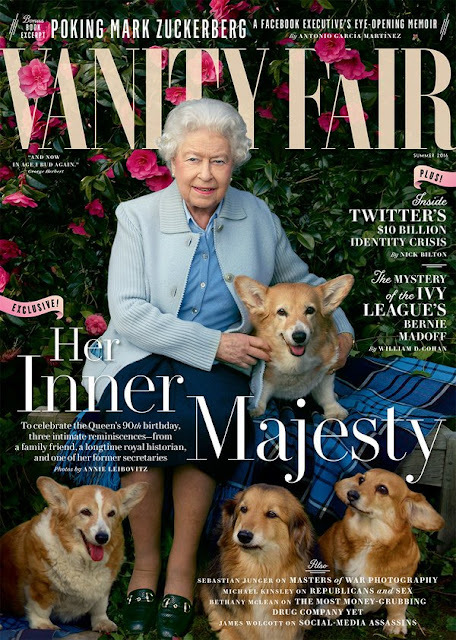 For as the month comes to an end, a new portrait of Elizabeth II has appeared on the front of Vanity Fair magazine. And it's rather majestic. You can never have too many royals in a photograph which is lucky as the Spanish and Dutch families have us a real treat yesterday as they lined up for lunch. 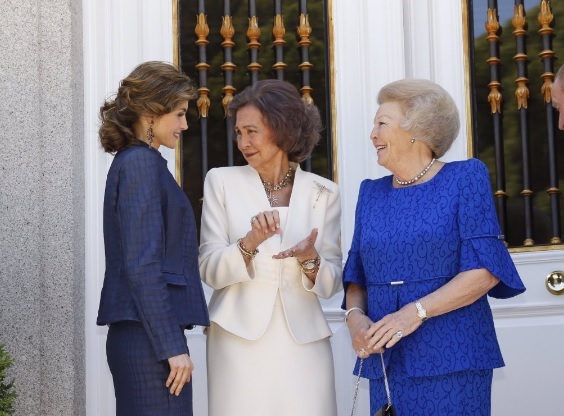 As former Queen of the Netherlands, Princess Beatrix, arrived at the Zarzuela Palace she was greeted by Spain's King and Queen and the country's previous monarchs as well. It was a right royal photo and a half. Prince Harry on the stage? 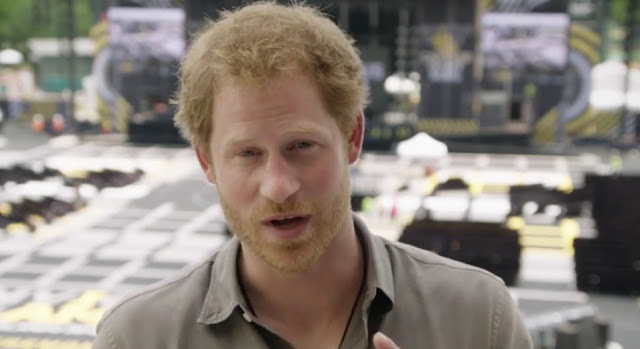 Is Prince Harry about to tread the boards? 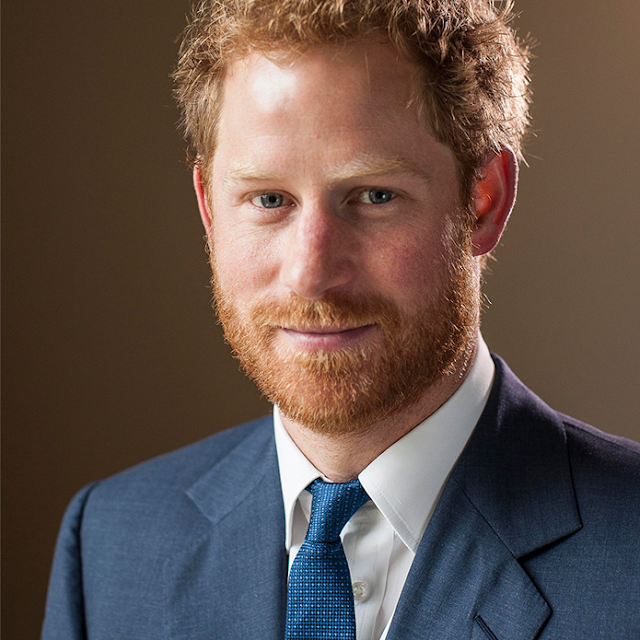 He's made no secret of his passion to help service men and women, whether serving or retired but now Prince Harry has been given a very unusual invitation. Lance Corporal Richard Jones of the Household Cavalry, winner of this year's Britain's Got Talent final, wants Harry to tread the boards this winter to help him at the Royal Variety Performance. There's been a lot of pink around recently. We expect a smattering here and there but the last week or so has seen a surge in rose tinted royals that is rather remarkable. From hats to coats to dresses to trousers and taking in bags and shoes, royalty across Europe has been in the pink. Here are some of the rosiest moments. 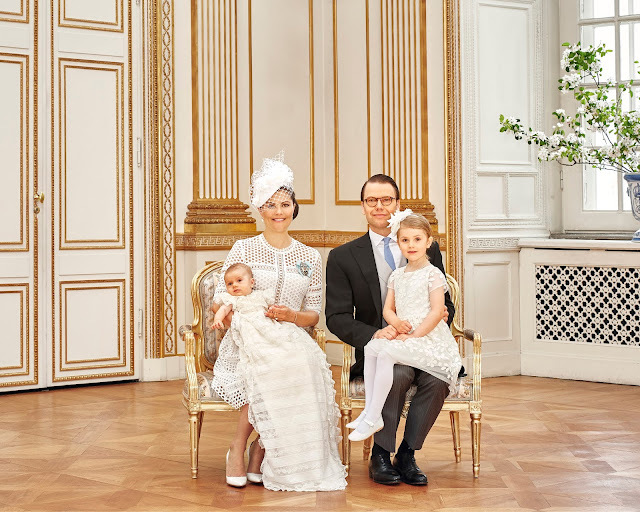 A royal christening needs official portraits and now we have those belonging to Prince Oscar Carl Olof of Sweden, Duke of Skane. The little royal was baptised on Friday and two days later his family have shared portraits that will be part of his story for decades to come. 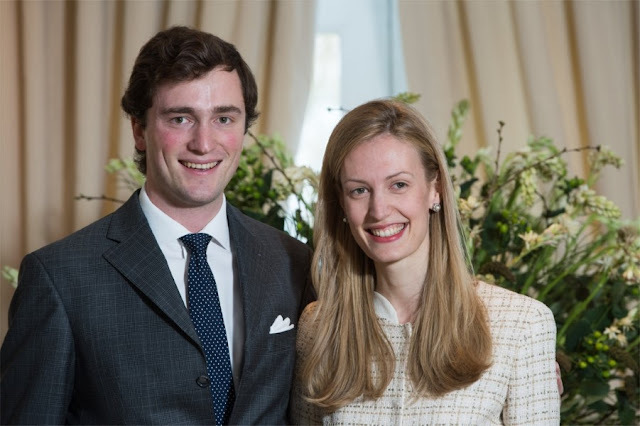 We are still waiting for the official photos of Prince Oscar's christening but in the meantime we have some rather lovely pics of his sister and his cousin. 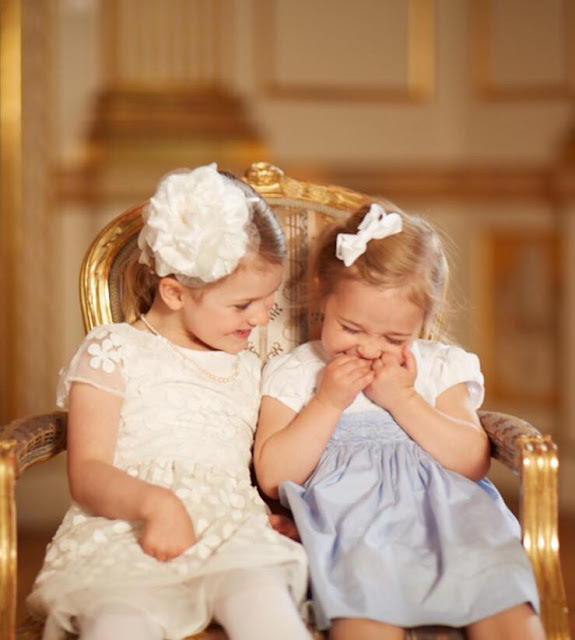 Estelle and Leonore clearly had a real giggle at the baptism party if these images, shared by Princess Madeleine on her Facebook page, are anything to go by. It's the start of a summer of sport for William and Harry. As May came to an end, the Duke of Cambridge and his brother took part in a polo match that will signal the start of a series of events through the warm and light days of the year - and all to raise money for charity. One week, five great outfits. The Royal Wardrobe this week had some stand out looks but the choices made for Prince Oscar's christening were at the very top.There was lots of pastel, lots of white and some very on trend draping and overall. It was royal super sharp styling at its best. There is a poll to pick your favourite (on the main page) or you can add your own choices below. Sit back and enjoy the Royal Wardrobe from Oscar's christening. 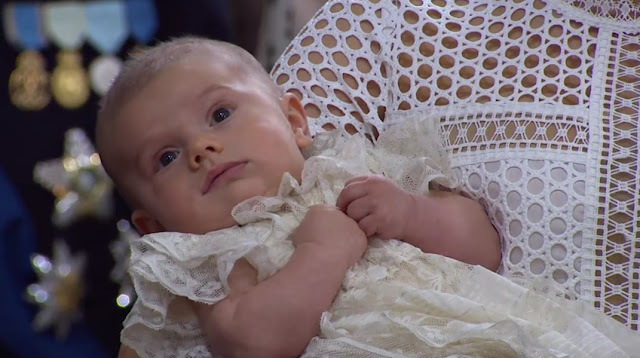 Prince Oscar Carl Olof of Sweden was christened today in a ceremony that was all about family. 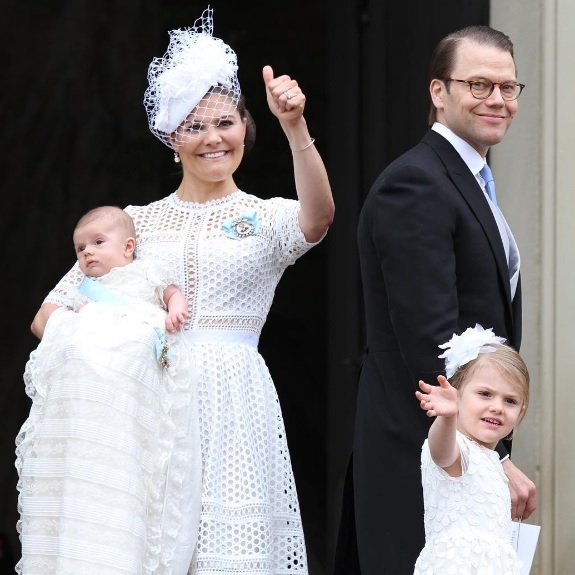 The third in line to the Swedish throne was baptised in the Royal Chapel of the Royal Palace in Stockholm on May 27th 2016 in a ceremony that started at noon and ended with smiles. 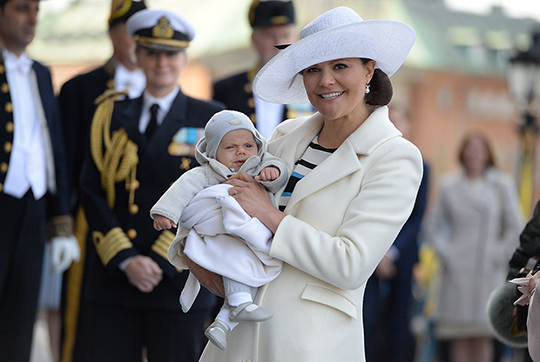 The second littlest royal in Sweden sailed through his big day - an event that was all about family. The christening of Prince Oscar, Duke of Skane is taking place this lunchtime in Stockholm. The third in line to the throne arrived in the arms of his mother, Crown Princess Victoria, with his father, Prince Daneil, and big sister, Estelle at his side. And he had a right royal line up waiting to greet him on his special day. In the end, she sailed away with it. Queen Maxima in black basket weave was the number one choice of the Royal Wardrobe poll for the week just gone. 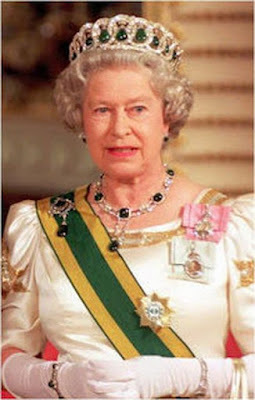 One of the most famous emerald tiaras in the world belongs to the Queen and it really packs a ragal punch. It looks spectacular and that's before we get to its history and its versatility - those emeralds can be swapped for pearls for a lighter look. 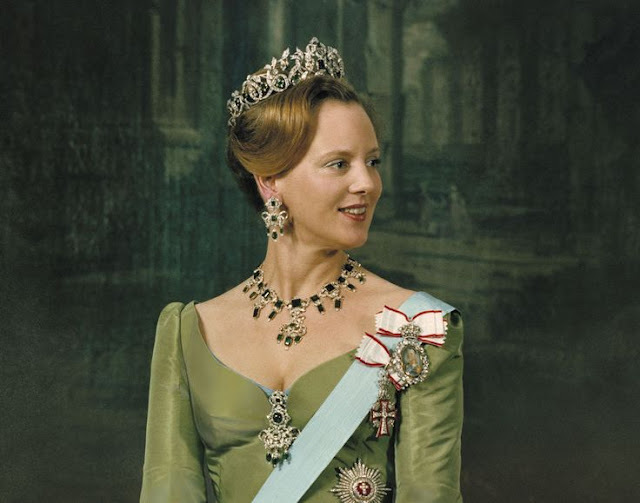 It's time for Emeralds for May to meet the Grand Duchess Vladimir Tiara. She's already given the honour of being a godparent to her siblings and now it's Madeleine's turn to stand at the font as sponsor. The princess is among the five godparents announced for Prince Oscar ahead of his christening tomorrow. With less than twenty four hours to go until Prince Oscar of Sweden is christened at the Royal Palace in Stockholm, anticipation is building. And one thing we all want to know is what his proud mama, Crown Princess Victoria, will be wearing as she watches her second child be baptised. Previous royal christening outfits might offer a clue so here's a look back at the outfits chosen for the three Swedish regal christening of this generation so far. Their royal lives have followed pretty parallel paths and they are good friends - that's clear from seeing them together. Last night, Mathilde and Maxima provided monochrome magic as they stepped out at a music event in Brussels in perfect harmony. As the Polish State Visit to Norway came to an end, it finally stopped raining. King Harald accompanied President Andrzej Duda and his wife, Agata Duda, to Narvik for the final engagements of their visit and was able, at last, to put away the umbrellas. And beneath the slowly brightening skies, the three took part in a poignant ceremony to end the three day visit. With just days to go until Prince Oscar's christening, there's a lot of anticipation building. It will be our first glimpse of the little royal for a month after his famous balcony appearance at his granddad's 70th birthday celebrations at the end of April. And it will mean another star turn from his big sister, Estelle. As Sweden's royals get ready to christen Oscar, here are five things we already know about his baptism. 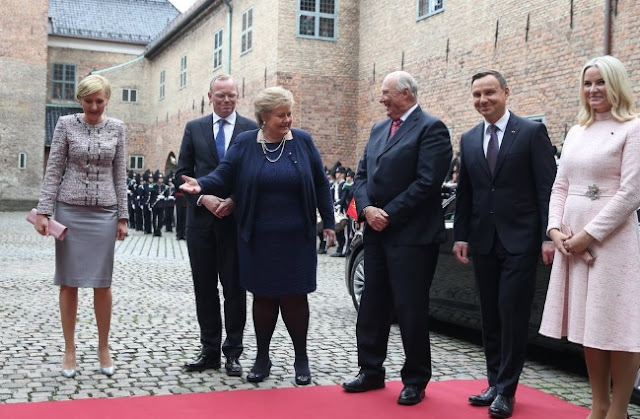 If day one of the Polish State Visit to Norway was all about tradition, then day two was about getting down to business. There were forums, there were talks, there were speeches and there was yet more rain. This was the serious part of this State Visit. The London season of garden parties is over - even if it does feel like they only just got started - and with the cake and tea packed away for another year it's time to look back on the style that graced the lawns at Buckingham Palace for these oh so traditional regal events. 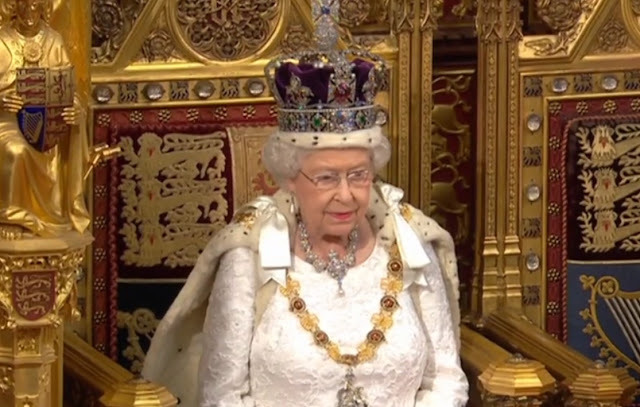 We've had pink, we've had pastels, we've had a repeat of that christening outfit. The Royal Wardrobe at the Royal Garden Parties of 2016 has been standout stylish - here's a review (and there's cake as well). The Duchess of Cambridge gave her husband a royal lesson today as he became a regal pupil. For while Kate has attended several garden parties in her time, this was William's debut at the Buckingham Palace royal regular which signals the start of summer. And he was shown the ropes by his wife. It's one thing to have a stunning set of emeralds at your disposal, it's another when only you can wear them. The Danish royal collection includes an emerald tiara about as impressive as you will find anywhere and only Margrethe II, Queen of Denmark can wear it. You can't beat a royal umbrella which is fortunate really as the Polish State Visit to Norway got under way in such heavy rain that there were brollies everywhere. 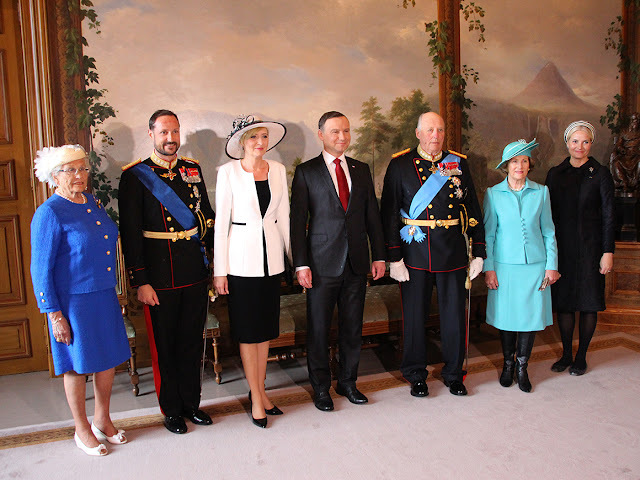 As King Harald V and Queen Sonja welcomed Andrzej Duda and his wife to Oslo, the heavens opened and there wasn't a dry eye in the house. 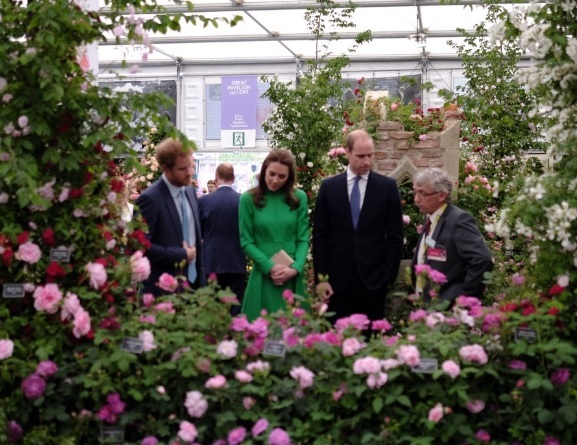 Life may not always be a bed of roses for royalty but at this year's Chelsea Flower Show there were plenty of royals and plenty of roses. 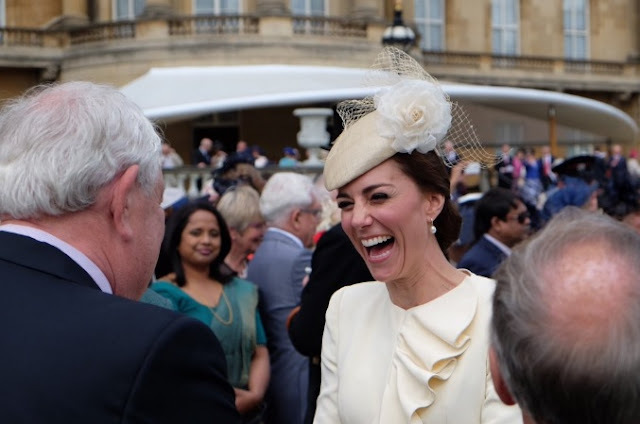 After a difficult weekend in which the Duke of York faced scrutiny over his finances, just about every member of the House of Windsor arrived at the famous event filled with smiles. After a tricky few days, it was time to come out smelling of roses. One royal day, five royal photos. First on the list is this classic of the Queen at the Chelsea Flower Show. Elizabeth II, and many of her family, attended the preview day of the annual event and image of the evening was this snap. 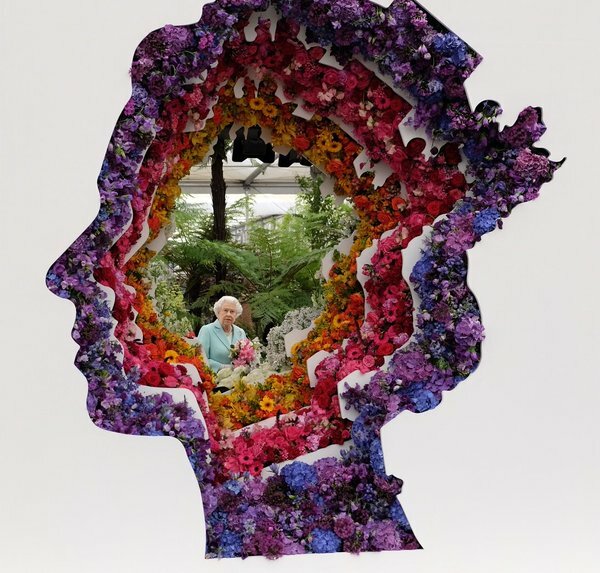 The Queen was caught on camera viewing a floral version of her famous profile seen on millions of stamps and coins which is one of the star exhibits at this year's show. It was as if she was glancing back at her whole reign - an all time great photo. To be fair, it might well have been her idea. On their twelfth wedding anniversary there was no romantic dinner or even one of their famous trips to the cinema. But then when one of your country's most famous football trophies is the King's Cup and they're playing the final you can't really not go. As they marked their wedding anniversary, Felipe and Letizia headed out to watch a game of footie. The Duchess of Cambridge is set to visit the Chelsea Flower Show this week. It will be Kate's first visit to the event, a bit of a royal institution, and she and William are set to attend later on today. But will the duchess be channeling a bit of flower power as she makes this royal debut? In honour of Kate's first flower show foray, here are eight floral moments from her famous wardrobe. Belgium's Royal Family took part in a memorial service for the victims of the March 22nd terrorist attacks today. 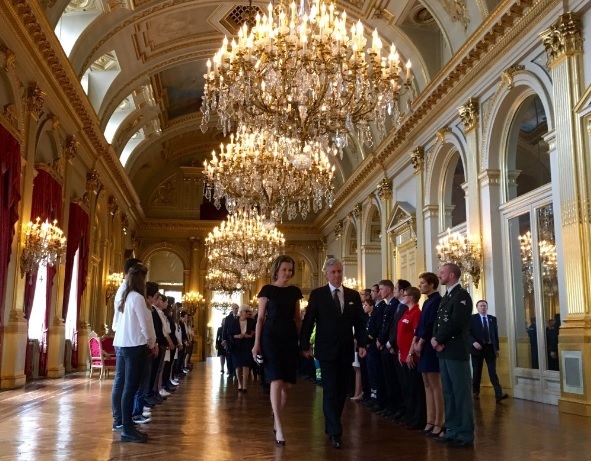 At the ceremony, held at the Royal Palace in Brussels, they heard King Philippe talk about the strength shown by those affected by the attacks and his call to use the strength that people had shown to create a better world. The Royal Wardrobe had a distinctly vintage vibe this week. Maybe it was all the basket weave, the swing skirts and the huge hats, but there was a lot of Sixties and Seventies making its presence felt in the top outfits of the week. Hold on to your hats, they are huge, as the countdown of five fabulous looks begin - you can vote for your favourite in the poll on the main page or suggest your own in the comments section below. In the end, it was an easy win. The poll to find the best outfit from the week of May 6th - 13th had a clear victor. 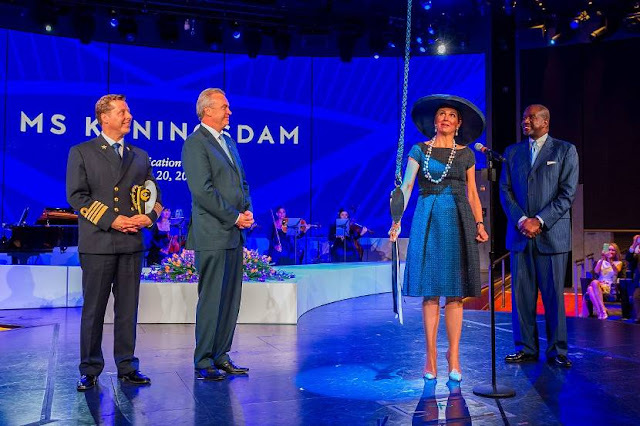 Crown Princess Mary in her black cocktail dress took nearly 50% of the votes - a knockout win. It started with smiles and ended with a splash. 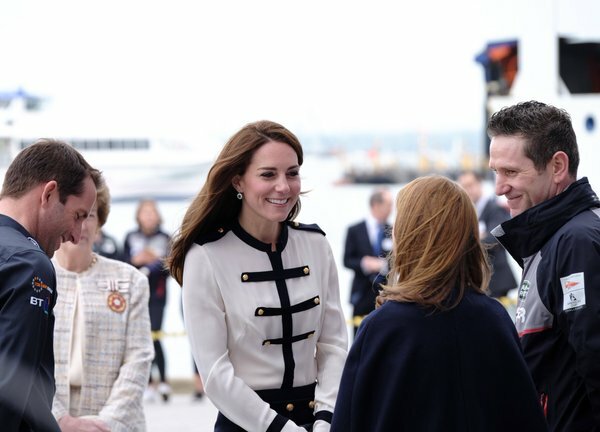 The Duchess of Cambridge visited Portsmouth today, arriving in nautical garb which was swapped for sailing gear before she hopped on a boat. Kate went from dry land to open seas in just a few hours - it was the day of the action duchess. She has been named after her two grannies but Belgium's newest royal also has a very important link to one of her country's most famous queens. The baby daughter of Prince Amadeo and Princess Lili was brought home from the Brussels hospital where she was born today as her names were announced. The littlest royal on the continent is called Anna Astrid. Who knew at the start of this week that the royal style icon supreme would be Prince Harry? No, dark suits with white shirts aren't suddenly where everything is at (we would have seen Letizia in one if that was the case). You have to look beneath the standard male royal wardrobe for Harry's style statement. Yes, it's the blue soled shoes. 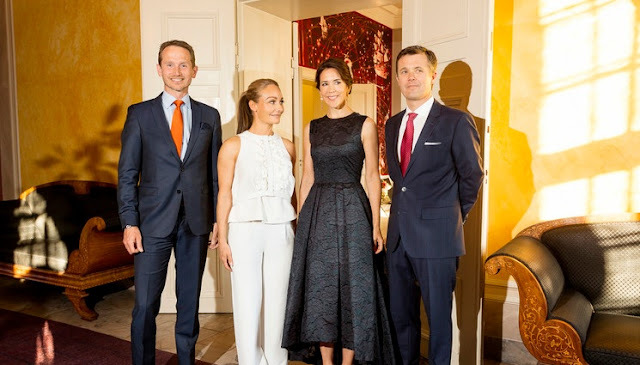 Everyone needs a helping hand when they are learning and the future queen of Norway got a lesson from an expert in royal matters on one of her biggest engagements yet. 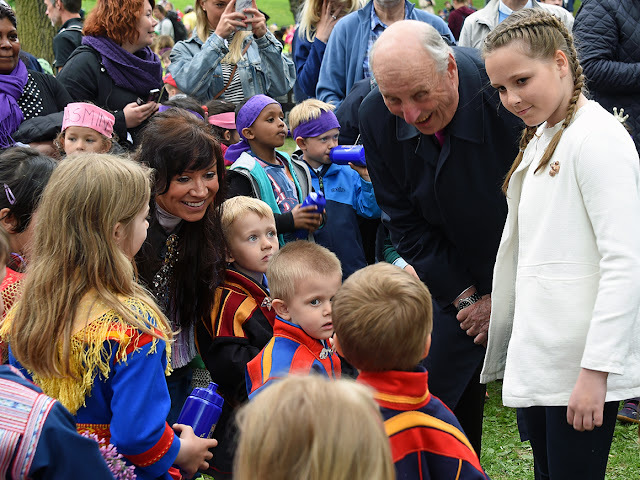 As she opened a park named after her, her grandpa, King Harald V, was on hand to guide her along. And he looked about as proud as can be to do it. There were buses, there were bridges and there was a lot of chocolate. The State Visit by the King and Queen of Jordan to Belgium came to an end in Bruges with a chance to see some of the most famous sights in this most famous city. Including chocolate. Royals and chocolate - what's not to love? 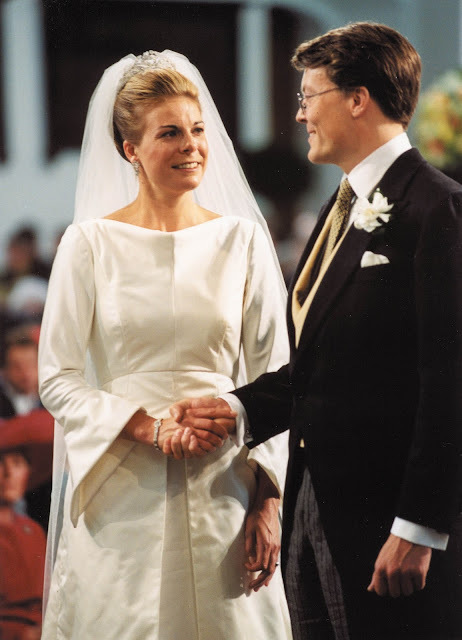 On this day, in 2001, Prince Constantijn of the Netherlands married Laurentien Brinkhorst in a religious ceremony, two days after their civil marriage, and began a round of royal marriages over the next twelve months or so that saw the early part of the 21st century turn into a seemingly never ending party of white dresses, veils and tiara. Yes, tiaras. 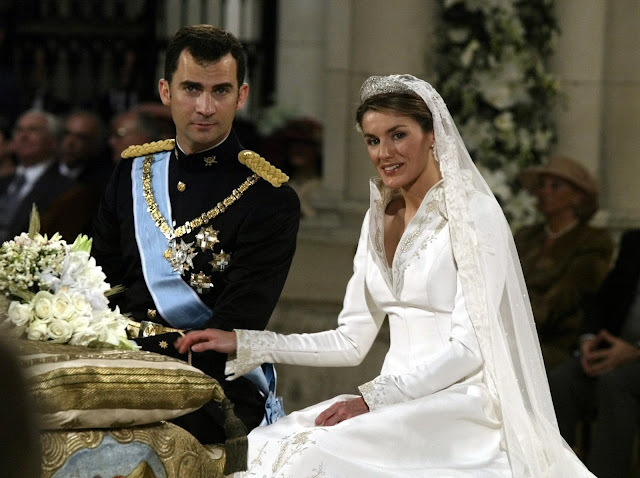 We saw plenty of wedding sparklers in the months to come but the diadem that Laurentien of the Netherlands chose to wed her prince is like the diamond bedrock of the royal wedding frenzy that followed. Here it is close up. In life she called herself the 'most happy', history has her down for many as the 'most unfortunate'. The queen who famously and tragically lost her head on this day in 1536 is about as famous as a consort gets. 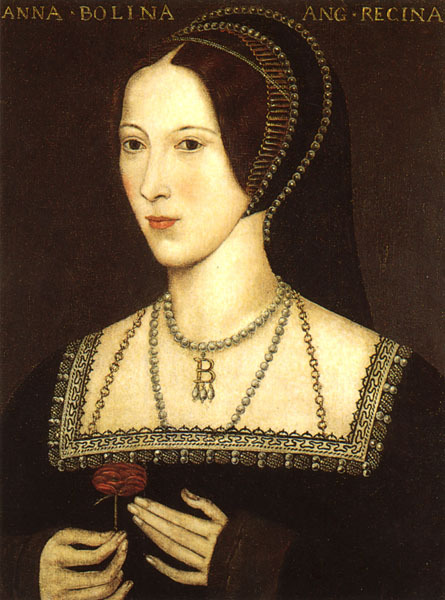 Acres have been written about Anne Boleyn, the woman for whom a king changed the whole world and whose whole world was crushed when he changed his mind. Starting a new series summing up the lives of the women who have been queen of England, here's Anne Boleyn in sxity seconds. As breaking news goes, you wouldn't really expect it to make headlines. A ninety year old woman with a sore knee gets the lift instead of taking the stairs. So far, so very sensible. But when the woman in question is the Queen and the lift under scrutiny is taking her to the State Opening of Parliament, people get excited. As Elizabeth II headed to the Palace of Westminster yesterday, the usual pomp and ceremony was all present but it was the elevator which got everyone talking. There was a warm welcome for the King and Queen of Jordan as they arrived in Belgium for a three day State Visit. Before their trip was even officially under way, the King and Queen of the Belgians and their children had given them a proper family greeting to get things started. 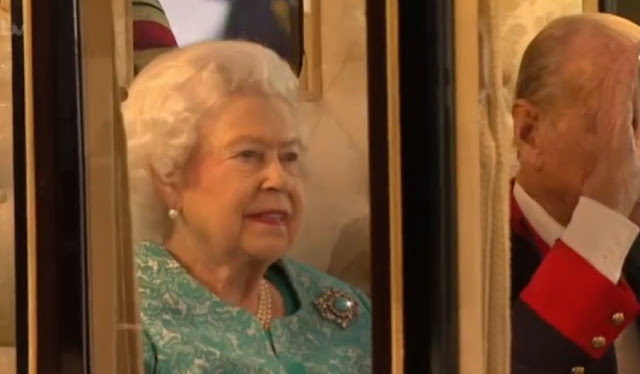 As she laid a wreath to remember fallen soldiers, the Queen appeared to wipe away a tear. 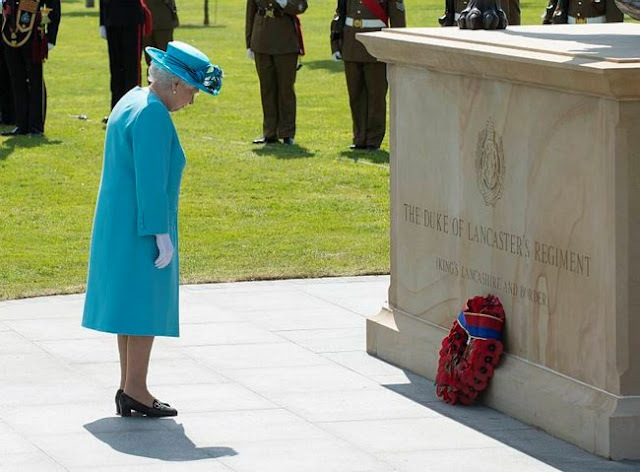 This rare display of public emotion came as Elizabeth II paid tribute to lost members of the Duke of Lancaster's regiment in a ceremony at the National Memorial Arboretum. Spring is definitely here. You know that the dark days of winter are gone when the Norwegian Royal Family head out in national dress for a national day. 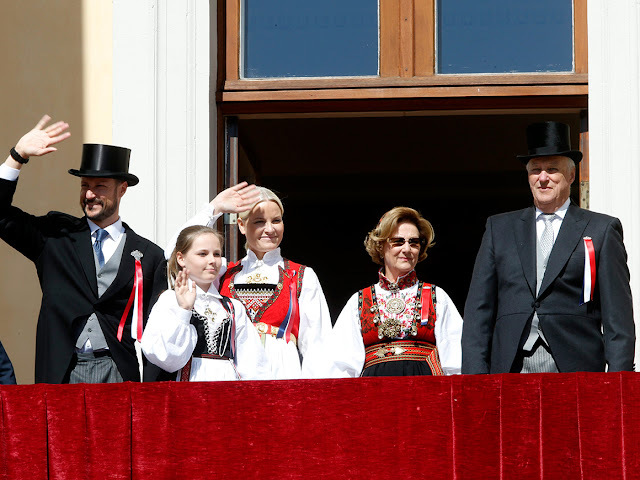 And with Harald, Sonja, Haakon Magnus and Mette-Marit donning the traditional costume and sparkling in the sunshine, the warm days of spring are well and truly with us. 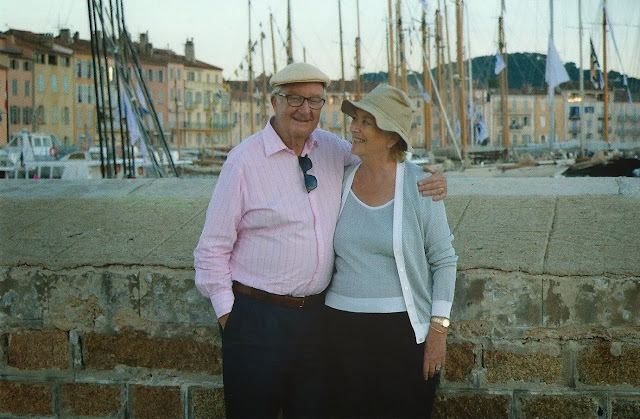 Albert II and Paola of Belgium have joined the great grandparents club. The former monarch and his consort welcomed a great granddaughter today and saw their royal dynasty move into a third generation. 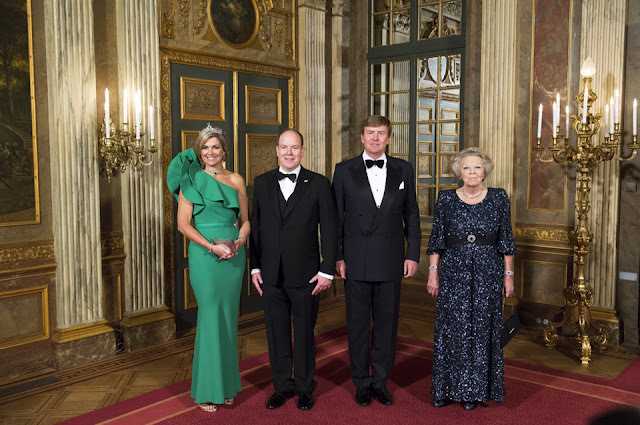 May is all about emeralds and this is all about the green stones that belong to the Royal Family of the Netherlands. They own a pretty impressive emerald parure that turns heads every time it comes out of the jewellery box. Here's the latest look at emeralds for May. 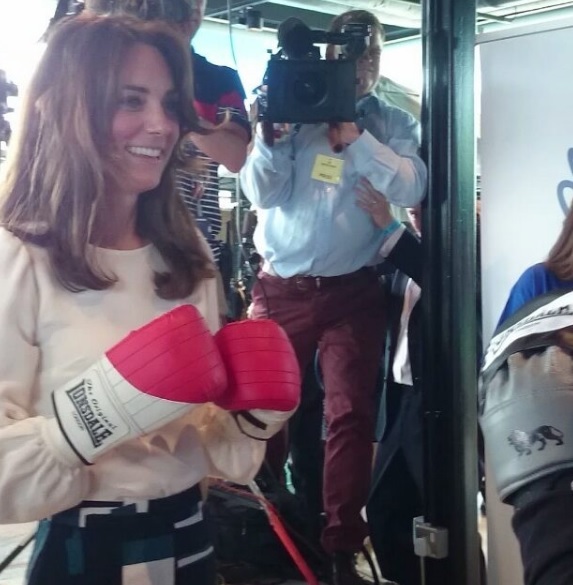 When the Duchess of Cambridge dons a pair of boxing gloves and settles down for a bit of cut and thrust at the home of sport in London then it's likely someone will notice. They did. As Kate did boxercise at the launch of Heads Together, the cameras clicked and the flashes, well, flashed, and the royal did what she'd hope she'd do - she got everyone looking at and talking about a new campaign on mental health issues. Getting Heads Together into the headlines is a knockout blow for the duchess. 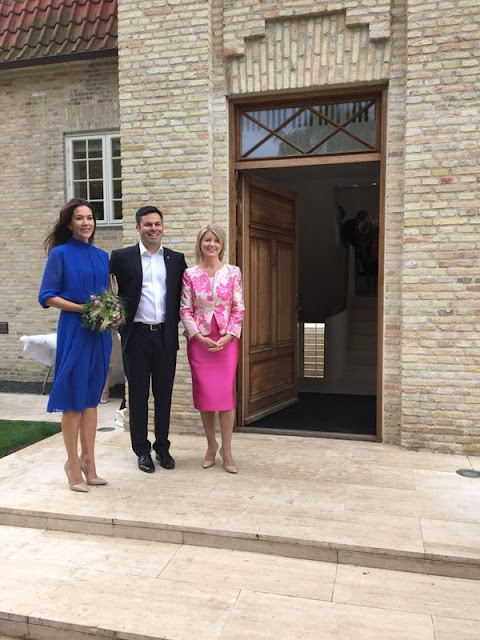 Gender equality is not a women's agenda, it's humanity's agenda - that was the message from Crown Princess Mary of Denmark as she opened a major conference on female health rights taking place in Copenhagen this week. Mary was addressing the Women Deliver conference which runs for three days in the Danish capital. And her message was as hard hitting as those she has expressed in the weeks and months running up to the event. 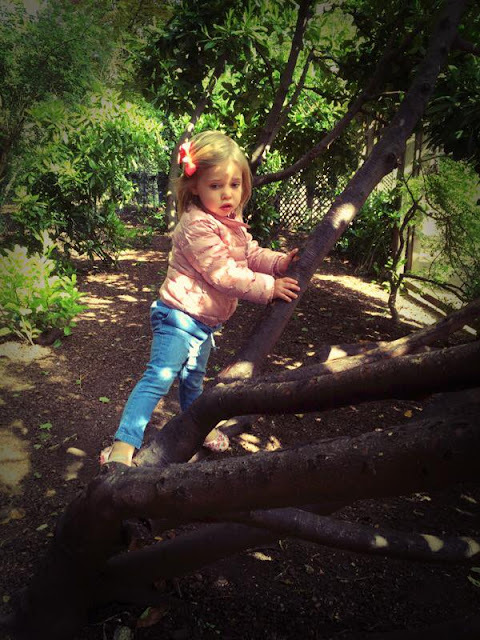 She might look tentative about it but that didn't stop Princess Leonore of Sweden tackling a tree. The seventh in line to the throne had a good old clamber while out for they day with her family and her proud mum couldn't wait to share an image of it on her Facebook page. One prince, twenty four hours. And Harry packed plenty in to them. 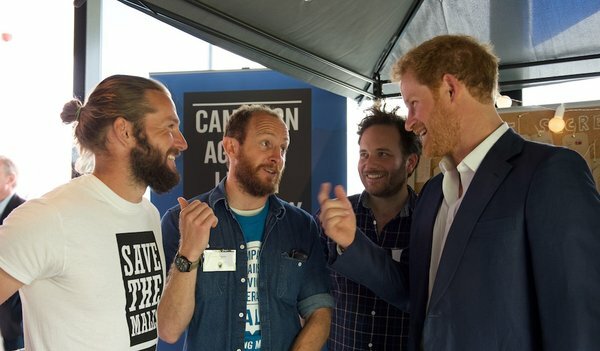 From attending a ceremonial pageant in the Windsor uniform to boxing his way to showcasing mental health issues and taking in a bit of presenting in between, this was one busy prince. This is twenty four hours in the life of Harry. 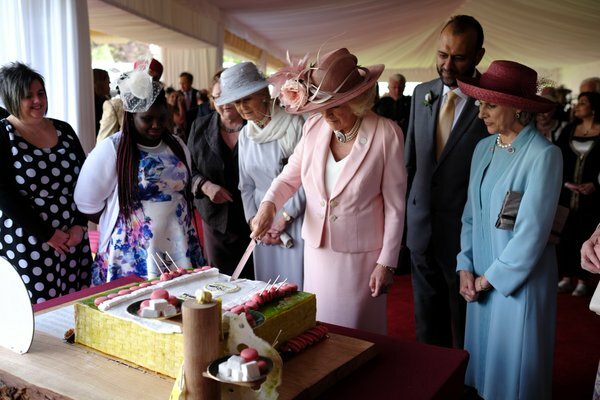 There have been a lot of birthday celebrations this year as the Queen turns 90 and there are many more to come, but the pageant that took place in Windsor on May 15th has got be among the royal favourites. 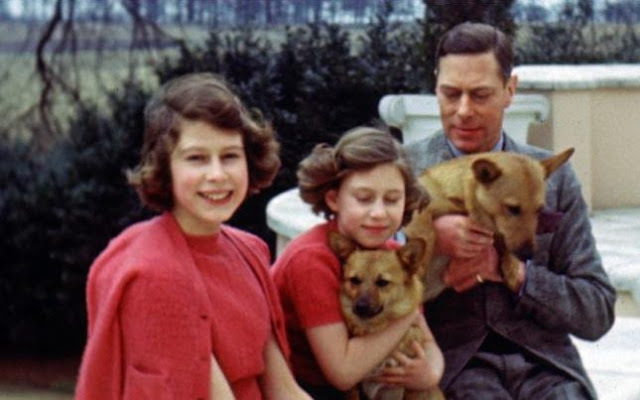 For this party was centred around two of the bedrocks in the life of Elizabeth II - her love for her family and her love of horses. The men of the House of Windsor wore its uniform for this special evening but it was the ladies of the royal dynasty who dominated celebrations. As the Queen marked her 90th birthday in the town from which her line takes its name, it was the women of Windsor who made this celebration so special. She is among the most photographed people in the world, one of the most photographed ever but as the next major celebrations for the 90th birthday of the Queen got under way, the Royal Family shared some previously unseen snaps of the woman who became Elizabeth II. This week, the Royal Wardrobe gets serious. There were some stunning looks on show in the past seven days but the top five come from royal women who have all ruled as regal style icons on more than one occasion. They've all brought their A game to the table this week and now it's time to sit back and enjoy five fabulous outfits. And then pick a favourite - the poll is now open on the main page.